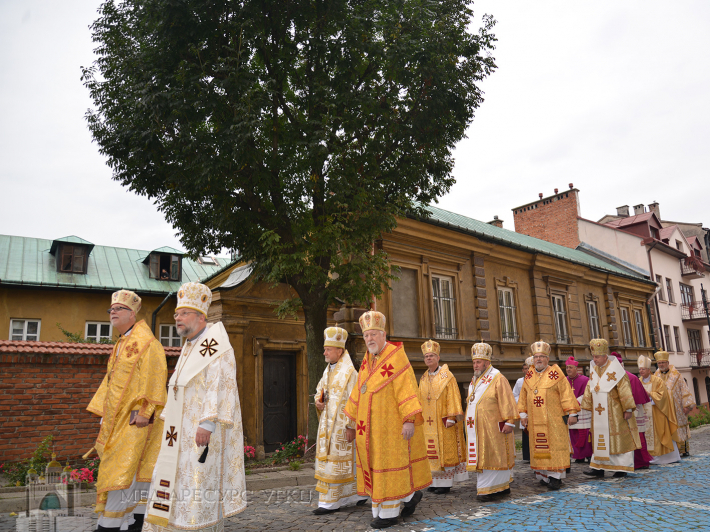 The Bishops of the UGCC visited the Przemysl-Warsaw Archeparchy to celebrate the 325th anniversary of the reestablishment of the unity of the Przemysl Eparchy with the Roman Apostolic Church. 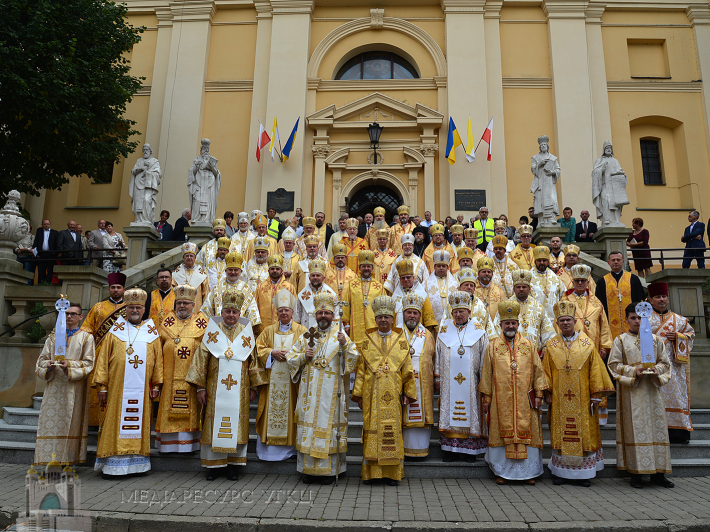 Such a visit of over forty Bishops of the UGCC from all over the world to Przemysl took place for the first time in history. 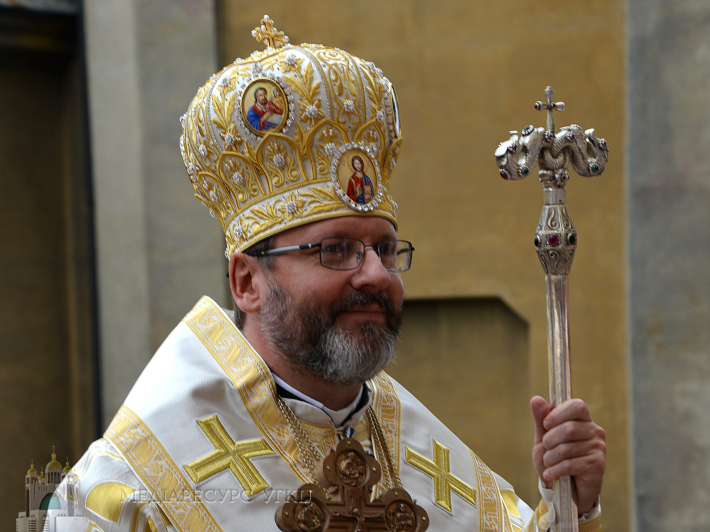 Metropolitan of Przemysl and Warsaw, Yevhen (Popovich), congratulated all members of the Synod of our Church, as well as Archbishop Salvatore Penacio, the Apostolic Nuncio in Poland, and the Bishops of the Polish Bishopric Conference in his diocese. 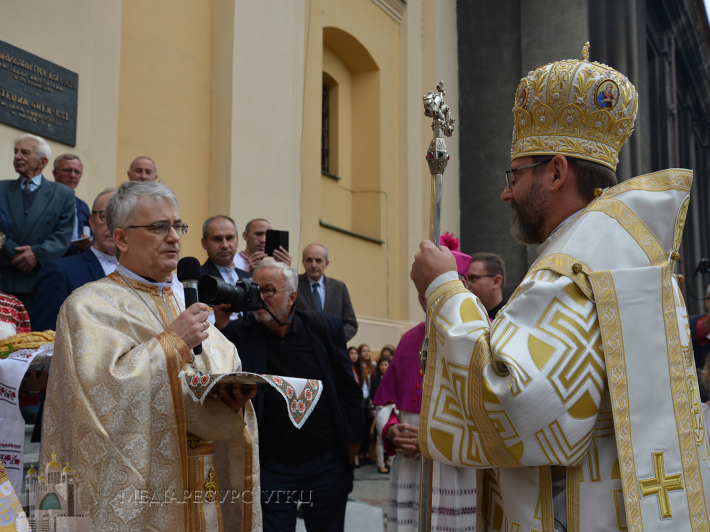 "Today, in Przemysl is a great holiday," said the Head of the UGCC during the sermon at the Greek Catholic Cathedral of St. John the Baptist in Przemysl. 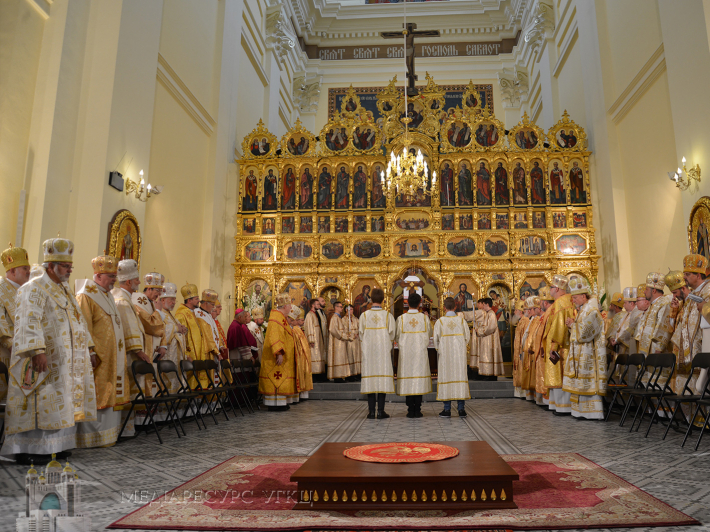 - "The Kyivan Church has arrived in Przemysl in the person of their Bishops from all over the world to thank the Lord God for the incarnation of the history of our Church and our people. Today we solemnly want to thank God for the fact that He loves us so much." 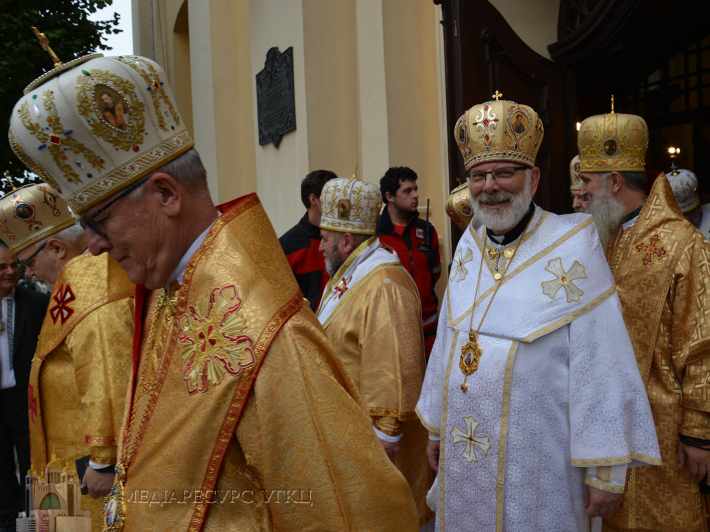 Speaking about the history of the Przemysl Eparchy, His Beatitude Sviatoslav emphasized that it dates back a long time ago ... "This year the Kyivan Church celebrates 1030 years of the Baptism of Rus'-Ukraine. 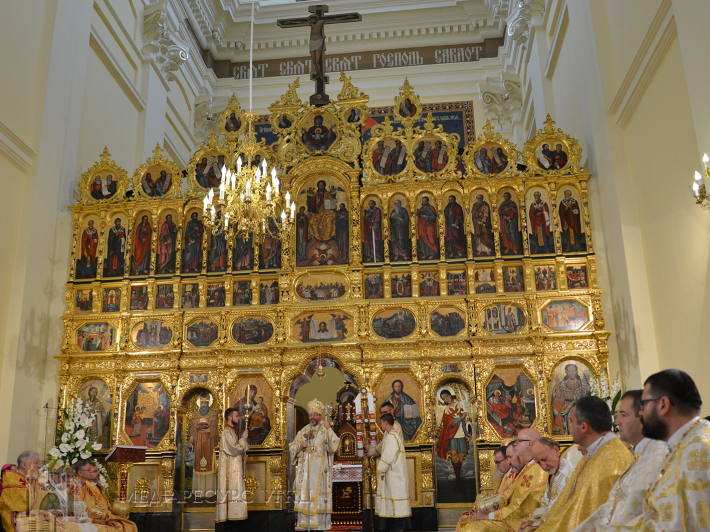 But we know that the history of the Przemysl Eparchy is even more ancient and reaches the mission of the holy Slavic educators Cyril and Methodius - it was set up by their disciples," added the the Primate. Christianity in these lands in the Byzantine rite has survived different stages of its formation and prosperity. 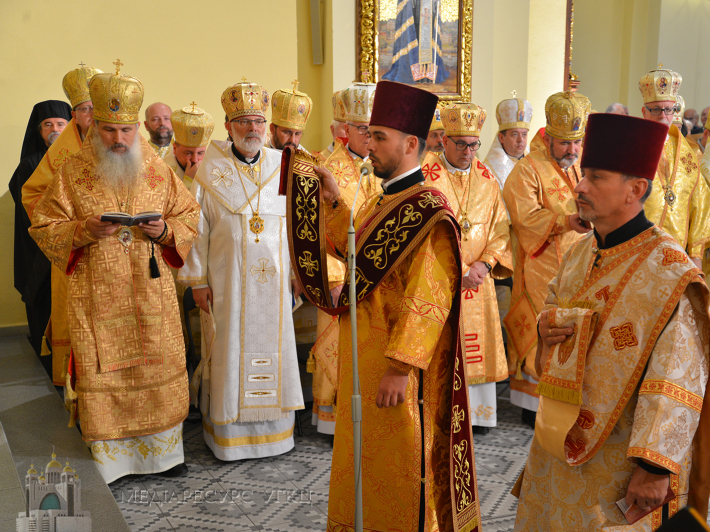 "But a special event was the one which memory we celebrate today: 325 years ago, the glorious Bishop of Przemysl, Innokentij Vynnytskiy makes a historic decision - to restore unity with the successor of the Apostle Petro," said the Primate. 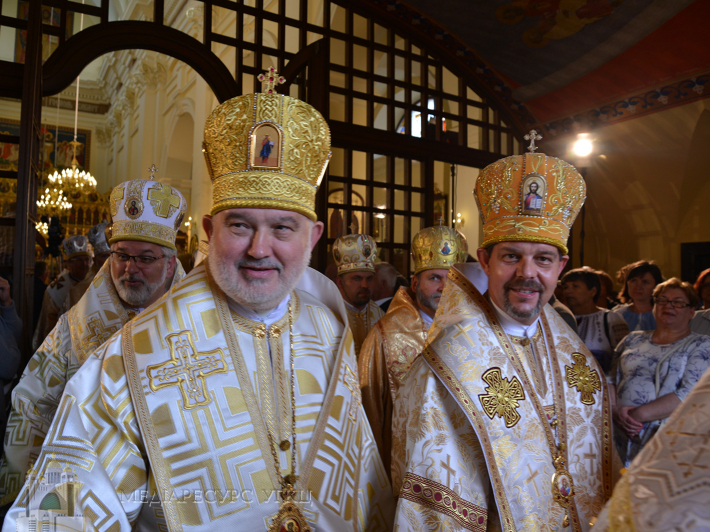 This Eparchy in its history knew various points ... Through the power of the Spirit of God, it showed the height of the flowering of Christian spiritual life, culture and art. 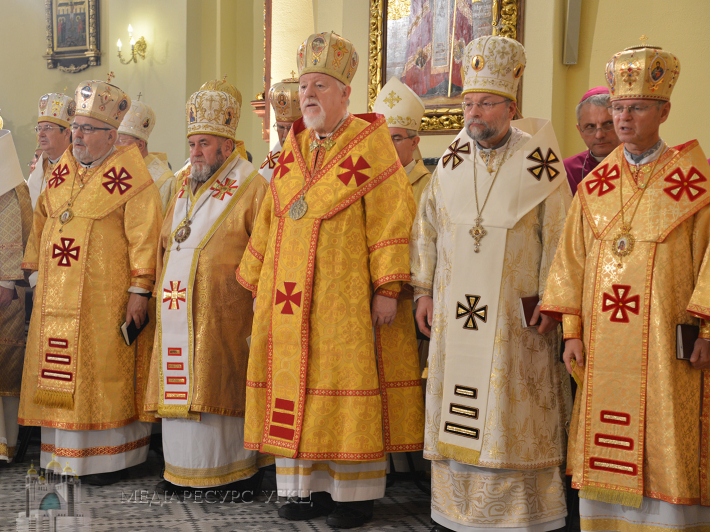 We know that this diocese gave our Church and our people the author of our national anthem (Mykhailo Verbytsky - Ed.). But also it has survived the time of destruction, persecution, martyrdom. 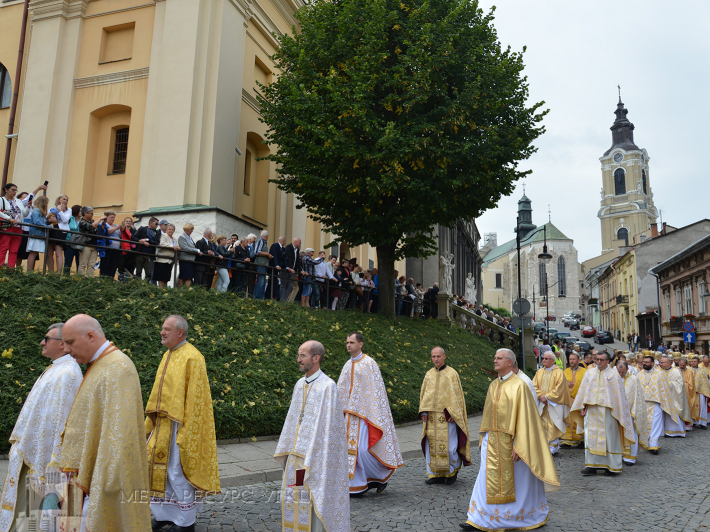 Therefore, today's holiday is celebrated in the context of the resurrection of the Przemysl Metropolitanate," said the Primate. 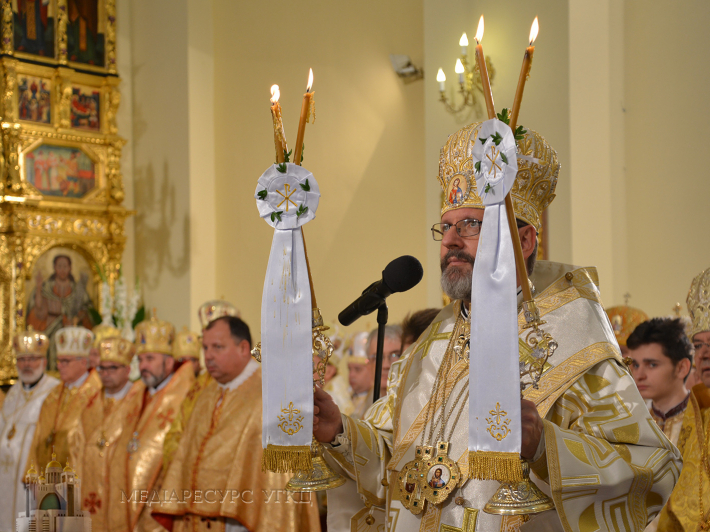 The Head of the Church remembered Bishop Ivan Martynyak, who became the instrument of God's work after the resurrection of this Eparchy, a teacher of love and unity. 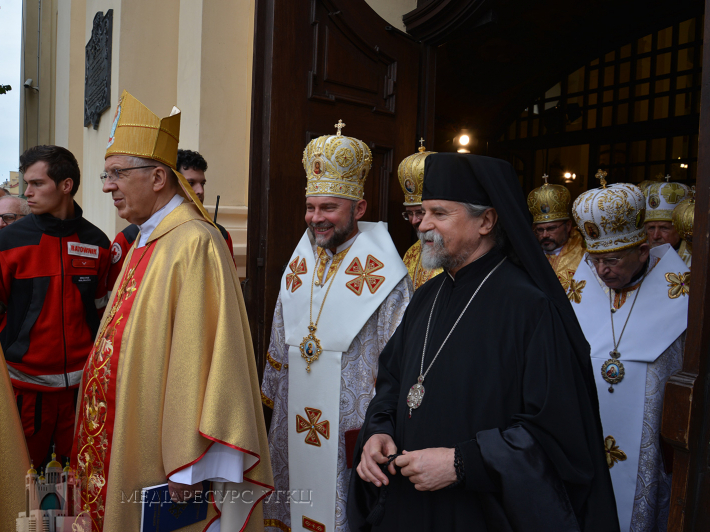 Today, said the spiritual leader of the Greek Catholics, this diocese is confidently stepping forward because it feels that the Church is nothing else than continuation in time and space of the sacrament of the incarnation of the Word of God. 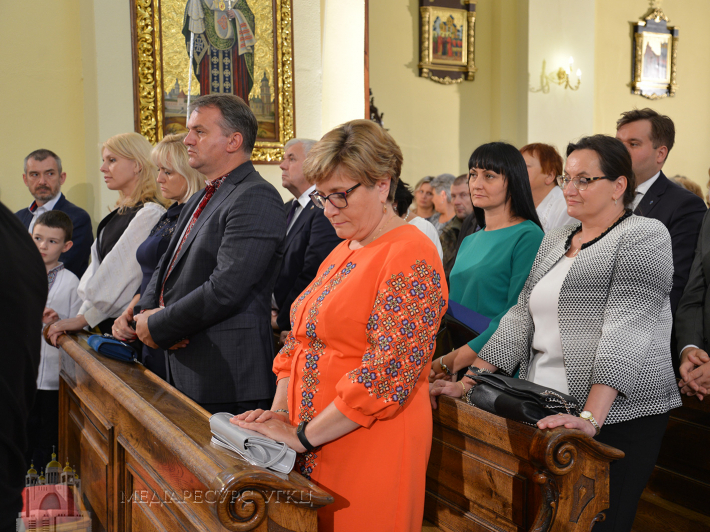 "This year both Poland and Ukraine celebrate the centenary of restoring their statehood. And, standing in front of God's throne, we thank for the fact that He cared and cares for our peoples. 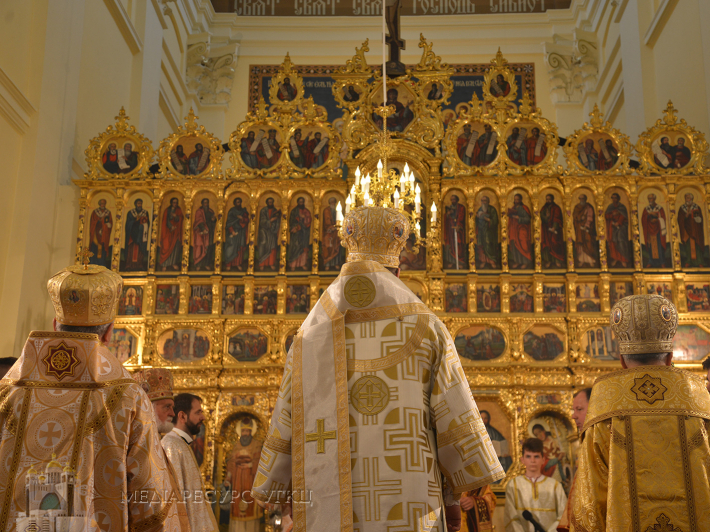 But today we have to say together that whenever our history was a history of salvation, that is, the history of God's love, then together we were strong and invincible," convinces the hierarch. And each time, he added, when the history of man on earth threw God out of it, it turned into the human history only, the time of destruction, hatred and war came. 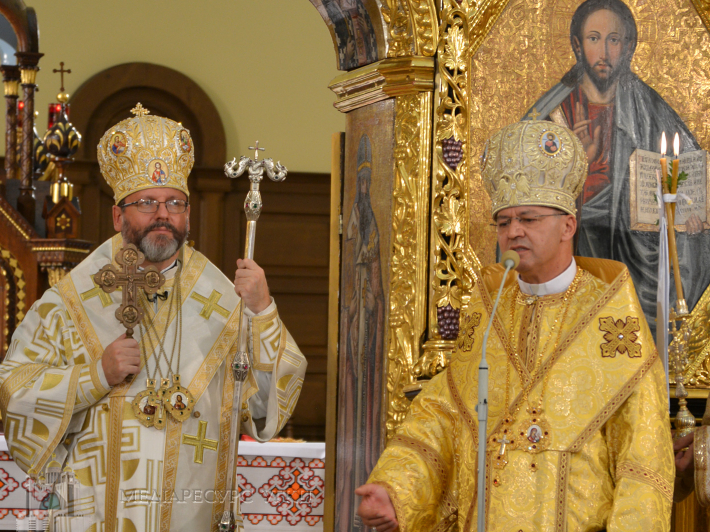 "For the history of man without God is death," emphasized the Head of the UGCC. 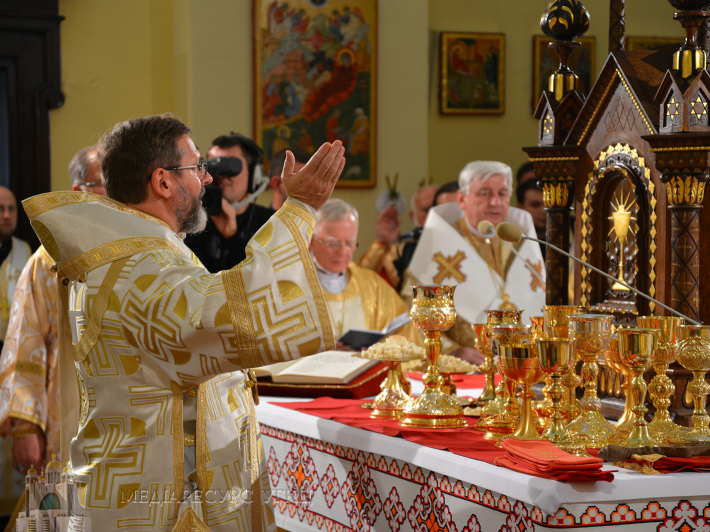 "We pray today, - called His Beatitude Sviatoslav, - that the history of modern Poland and modern Ukraine was a continuation of the history of salvation. Let no one build a future on hatred. Let us be the followers of this unifying Divine Love, to which our Holy Father Francis calls us today." 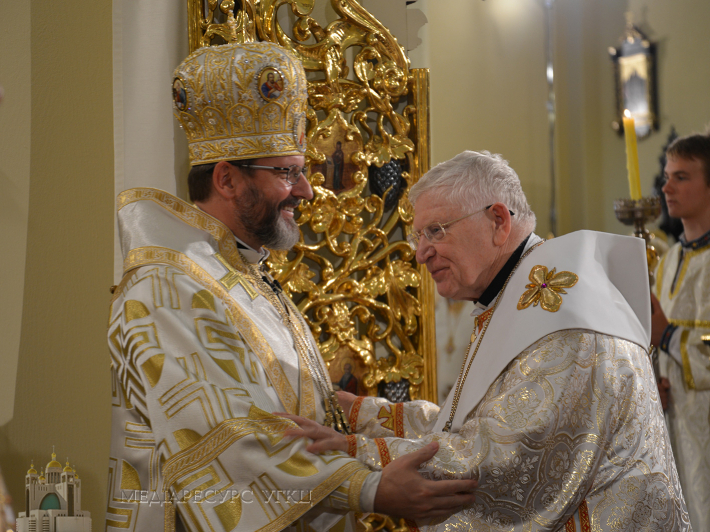 "Let today's feast of the visible and complete unity of the Church of Kyiv with the Roman Apostolic See be the feast of God's love in our hearts, communities, eparchies and peoples," wished the Head of the Church. 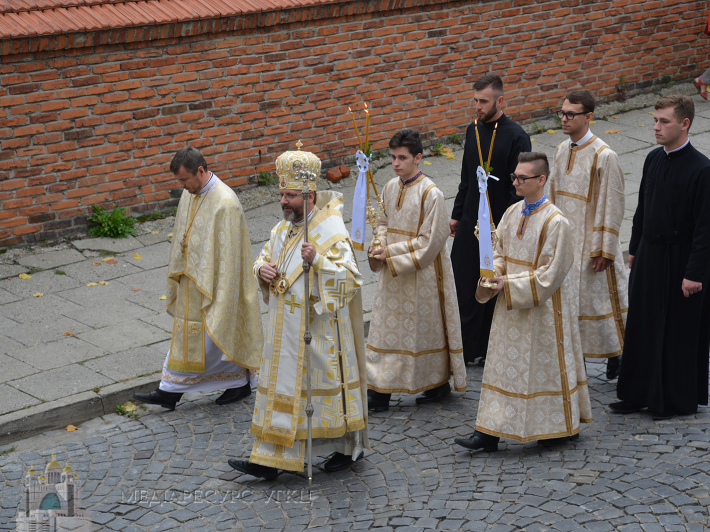 On this day, the Bishops of the Synod also visited the Przemysl Cemetery, where the Bishops of the Przemysl Eparchy, the fathers Choristers (Kryloshany) and prominent pastors of this Eparchy are buried. In general, over one hundred priests of the UGCC are buried in this ancient cemetery. Here, the Bishops held the Panakhyda.